We have over 60 years of experience in the Ball Bearing and Hand Tool business. We offer You high service and a high technical knowledge. Since establishment 1950, we specialize in Spindle Bearings, Miniature Ball Bearings, Precision Bearings, Needle Bearings, Standard Bearings, Freewheel clutches, Stainless Steel Bearings as well as Hybrid Bearings and Cheramic Bearings. AXEL JOHNSON AB Nomo is a part of Axel Johnson AB, fourth and fifth generation family business with trade-related businesses in the European market with emphasis on the Nordic countries. Axel Johnson AB is composed of several large companies, in total with sales exceeding SEK 70 billion and approximately 22,000 employees. AXINDUSTRIES Within Axel Johnson AB, Nomo belongs to the Group company AxIndustries. AxIndustries focuses on technology trading and is the holding company for several specialist businesses within Bearings and Power Transmission. The company has annual sales of over SEK 1 billion and approximately 400 employees in five countries in the Nordics and the Netherlands. Being a part of the Axel Johnson Group means being Far-sighted and having an expansive growth strategy. Brammer är förstavalet när du behöver högkvalitativa MRO-produkter (underhåll, reparation och service) inom industrin. Vi är Europas ledande specialistdistributör och vi finns i hela Sverige. 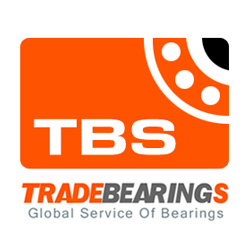 Since 1987 Inter Bearings a Swedish leading supplier of ball bearings, roller bearings, spherical plain bearings, plain bearings, seals and locking elements and customized product solutions from the best manufacturers.